Physical Security Online > Cameras > What Good are Security Surveillance Cameras? Do security surveillance cameras really prevent crime? What does the research say? Every year thousands of large and small businesses install security surveillance cameras in an effort to protect their businesses and increase the safety of employees and customers. There is estimated to be more than 30 million surveillance cameras in use throughout the nation, filming four billion hours of footage on a weekly basis. This means that no matter where you are or what business you go into, chances are you are being watched by these cameras. Most businesses install security cameras in the belief that cameras will deter crime and give customers and employees an increased sense of security. Ads displayed throughout various media platforms paint a picture that if a business owner, security manager, or even the ordinary homeowner, just purchases a security surveillance system they will be exponentially safer than without them. These sales pitches attempt to sell businesses and homeowners on the theory that security cameras will protect their property by deterring criminal activity. The theory is that if criminals know their activities are being monitored by cameras, they will fear discovery and apprehension. No one is naive enough to believe that those inclined to criminal activity will suddenly cease being crooks just because they know that a building or premise has surveillance cameras, but the thought is they will likely take their illegal and/or Malum in se activities someplace else – perhaps someplace that does not have cameras. It is a logical premise. But, is this really true? 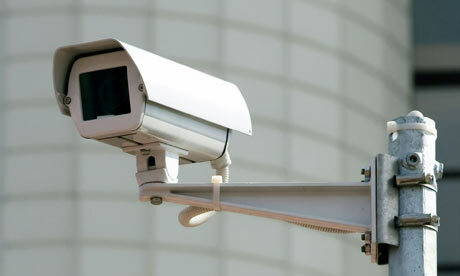 Just how effective are security surveillance cameras in actually deterring crime? I have always advocated that whenever possible, business owners and security managers or even just ordinary homeowners, should use imperial evidence when making security decisions. Simply stated, security decisions should be based on the best scientific evidence available rather than good intentions, common beliefs, suppositions, or advertising hype. What does the scientific literature say about security surveillance cameras? Does the presence of security cameras really deter crime? Saying surveillance cameras deter crime is a shaky claim to make. Although one can always find anecdotal reports on the effectiveness of cameras, the bulk of the empirical evidences through studies in both the United States, England (where video surveillance is very prevalent with CCTV), and elsewhere suggest that video surveillance alone does not statistically decrease crime. One such study by the University of Southern California looked at five cameras in a high-traffic section of Hollywood and six cameras in a housing project in Watts. This study revealed that these cameras had no statistical impact on crime. In another study researchers from New York University used poisson and negative binomial regression methods to analyze crime statistics over a five year period and concluded that there was no persuasive evidence that the use of surveillance cameras deterred crime. These studies, and many others concluding that cameras offer little deterrent on crime, are consistent with what I learned in more than three decades of working as a police officer. Consider this: criminals – no matter how stupid or how high on drugs, know that all banks and almost all convenience stores have decent camera surveillance systems now days. However, these cameras have not deterred criminals from continuing to hold up banks and convenience stores. Law enforcement frequently shows surveillance video of robberies on television in the hope that someone will recognize the robbers and identify them. Last year almost 6,000 bank heists occurred in the United States and somewhere in the country a convenience store is robbed about every 20 minutes. Are surveillance cameras worth the cost in resources, given the limited role they play in deterring crime? While much of the independent scientific research suggests that the presence of security surveillance cameras does little, if anything at all to deter crime, cameras can offer security benefits to business owners and even owners and residents of residential property. My experiences as a criminal investigator, buttressed by the consensus of the scientific research, have clearly shown that capturing the image and activities of a criminal after a crime has taken place is very helpful in apprehending and prosecuting criminals. The images captured by these cameras offer law enforcement vital and tangible investigative leads and results in more criminals being held accountable for their actions in the justice system. When a crime is solved and the perpetrator(s) are arrested and prosecuted, this fact alone often helps employees, customers, and members of the general public feel a sense of relief and increased safety. Surveillance cameras as a crime prevention strategy. While some may think they are synonymous, there is an academic distinction between crime deterrence and crime prevention. While the bulk of the scientific research does not support the proposition that surveillance cameras alone significantly deter crime, new emerging research tends to show that surveillance cameras can sometimes prevent crime, at least in a specific limited area – depending on how they are used. Security personnel monitoring cameras notice an individual wandering in a parking lot and peering into parked cars. Security officers are quickly dispatched to the area. They locate the suspicious person and make contact with him or just place him under obvious overt observation. The would be car burglar or car thief is likely to feel “uncomfortable” by being contacted or just knowing that security is watching. He is likely to leave the parking lot and take his activities elsewhere. Thus, a car burglary or a car theft (at least in the parking lot) was prevented. Security personnel monitoring cameras notice that a gate that normally automatically closes after an authorized person exits the building somehow malfunctions and remains open. Security officers quickly respond to the gate and secure the gate until it can be repaired. This action prevents unauthorized persons from entering the building and may well have prevented a criminal trespass or burglary from occurring. While the value of surveillance cameras as a crime deterrent may be tenuous, the images they capture are very valuable in investigating crimes and bringing perpetrators to justice. Additionally, research has indicated that when surveillance cameras are used in conjunction with real-time monitoring and intervention, they may serve as part of an effective and comprehensive security crime prevention strategy. How to integrate cameras into a comprehensive security program is beyond the scope of this article but watch for a discussion of this in my future articles. For now it is suffice to say that a comprehensive security program is not something that should evolve in a piecemeal fashion over time, usually in response to a crisis or major incident. Instead, a comprehensive security program should be proactive instead of reactive. It starts with a methodical and objective security audit, followed by a threat and vulnerability assessment, and the creation of an overall integrated security strategy to meet specific security goals and objectives.